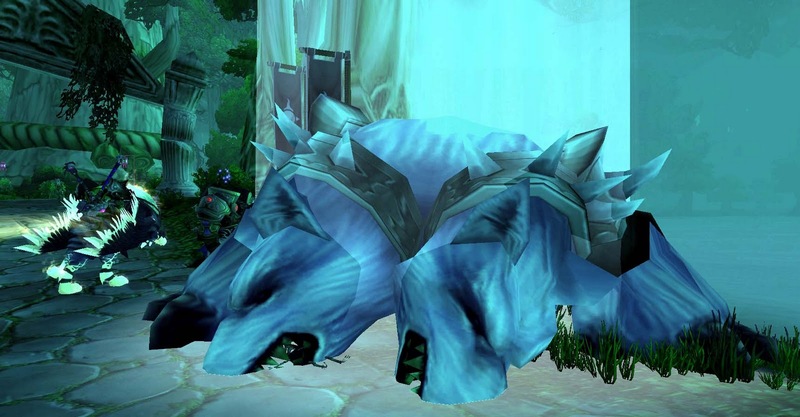 Navimie of The Daily Frostwolf recently celebrated her second blogiversary. As a thank-you to those who congratulated her on her achievement, she has been making and sending the sweetest poems! Here's what she sent to me. It's a collection of senryu poems. As you may know, I have a tendency to "acquire" raid warning and compose haiku for my raid, so this is particularly relevant to me. Not to mention it's from Navi!! Enjoy! Remember the totally sweet druid ring I mentioned? It's made by Tesh of Tish Tosh Tesh and available from Tish Tosh Tesh Toys via the Shapeways website. I said before that I am getting a replacement in another material, which means that I have a lovely spare ring to give away! 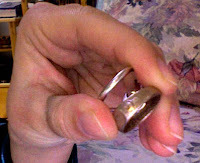 The color compared to a silver ring. The full story is that I ordered the ring in stainless steel, thinking I wouldn't have a reaction to the metal despite having sensitivities to copper and nickel. However, Shapeways coats their stainless steel pieces in a bronze mixture, which gave me a nasty discolored rash. I (will be) getting a replacement ring in silver, so one of you can have this ring for free! Yeah! Take this thing from me! 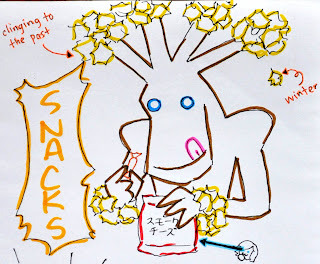 This week's Shared Topic! Head over and weigh in. 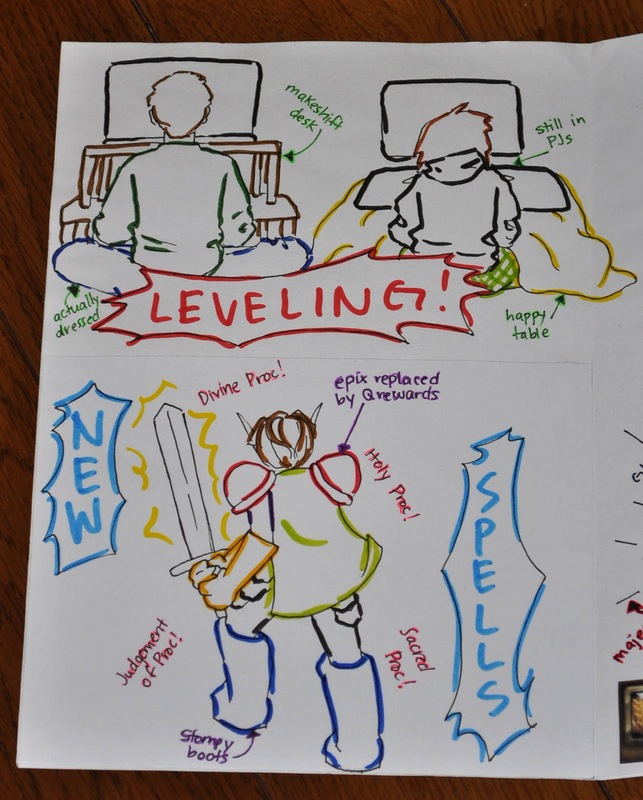 It's one thing to talk openly about playing video games, or watching your favorite nerd TV. But if there's no reason to bring it up, how else do you advertise your nerdly interests? Do you even want others to know? With physical items, the obvious nerdliness of the item will influence the reaction you get. When I was still traveling to manfriend's place on weekends, I kept my authenticator on my phone. The colorful pattern attracted attention from coworkers (don't press the button OMFG stop pressing the button), and I often had to explain it to them. However, having it visible on my phone served as an easy icebreaker to talk to some other guys at a friend's wedding. Reading similar stories about "nerd sightings" like Horde bumper stickers or "green linen" Tshirts always makes me smile. The other things I have are more subtle, personal badges. The most important one is my awesome tree necklace - it has absolutely nothing to do with WoW. Ostensibly, at least. I mean, it is a tree. I think you know how I feel about trees (hug them!). Plus, it was a gift from a friend. And, the design is so unique that I often get compliments on it! I also have an amazing resto-centric ring. Unfortunately, I can't wear it until I get it remade in another material. But just look at it! The moon shapes surrounding the resto leaf? That's some class WoW merch! 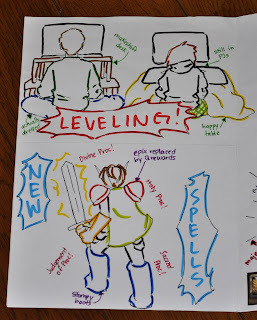 It isn't just limited to WoW, either. I have a pokemon handkerchief and a cell phone strap of the female player from Black/White. I even found a very neat replica of Sailor Pluto's time key. People don't always notice or comment on my nerd badges, but there is something to be said for having them. When I find someone who recognizes it, it's like being in a secret club! "Nice shirt" *understanding grin* "You, too?" ~instant friends~ Well, up until the faction rivalry comes out. But it's a start! 新年快樂! Happy Lunar New Year! I hope you're ready for some serious partying. 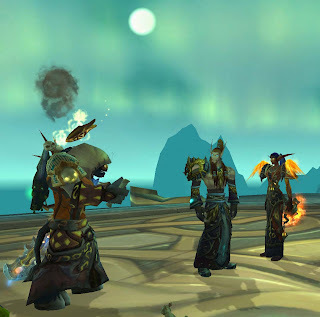 On Earth, we want "out with the old and in with the new," whereas in Azeroth, revelers celebrate "their triumph of many thousands of years ago, when an alliance of good races defeated a terrible evil called the Burning Legion!" The Lunar Festival runs from January 22 to February 11 this year, coinciding with its inspiring holidays, the Lunar New Year and Lantern Festival. 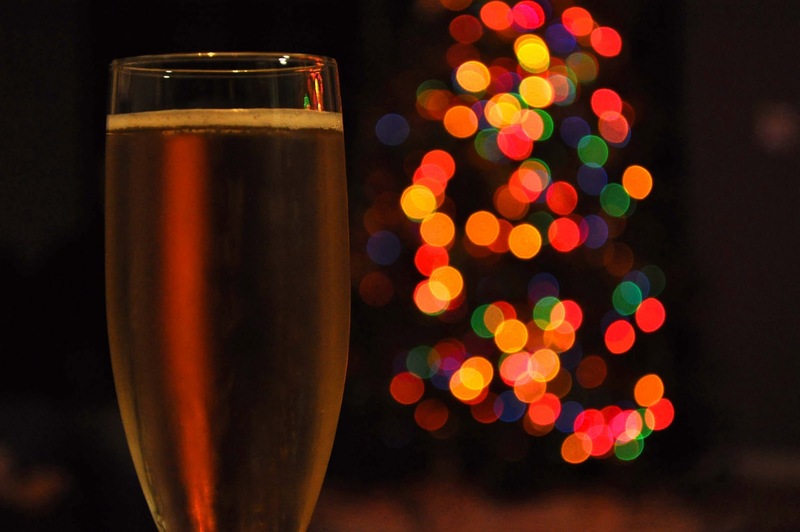 This new year celebration occurs in either January or February and is based on the phases of the moon. The lunar calendar is made up of 29.5 day months, and is 11 days shorter than the 365 day calendar. This is paired with the Chinese solar calendar, which is divided into 24 different segments or climates and focuses on how seasonal changes affect agricultural activity. In preparation for the new year, people begin cleaning and throwing out old things in mid-December - rather than spring cleaning, this massive undertaking occurs in winter. Decorations such as prints of poetry, door gods, and other popular auspicious imagery are displayed along with the characters for "spring" (春) and "fortune" (福). These characters may be hung upside-down, as the word for "inverted" is a homonym for "arrive." The many homonyms in Chinese make for lots of word association - more on that in later sections! As it is considered unlucky to use a cooking fire during the new year, families will prepare the meal beforehand. 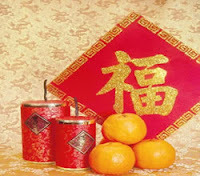 They will also decorate the household altar with oranges, spring rice, flowers, and New Year cake as a fresh offering for gods returning to Earth. The New Year's Eve meal features many foods that are either linguistically or physically auspicious. Vegetables, chicken, clams, fish/shrimp/meatballs, and dumplings are common staples. Fish, being a homonym for surplus, is often present but not eaten, or at least finished. It wouldn't do to eat all of the coming year's surplus in one night! Families gather to share this important meal, and places are set for those who cannot attend. Typically, a married couple will spend this day with the husband's family and visit the wife's family on the second or third day of the new year. Staying up all night talking signifies long life for older relatives, and as such this evening is also called Longevity Night. 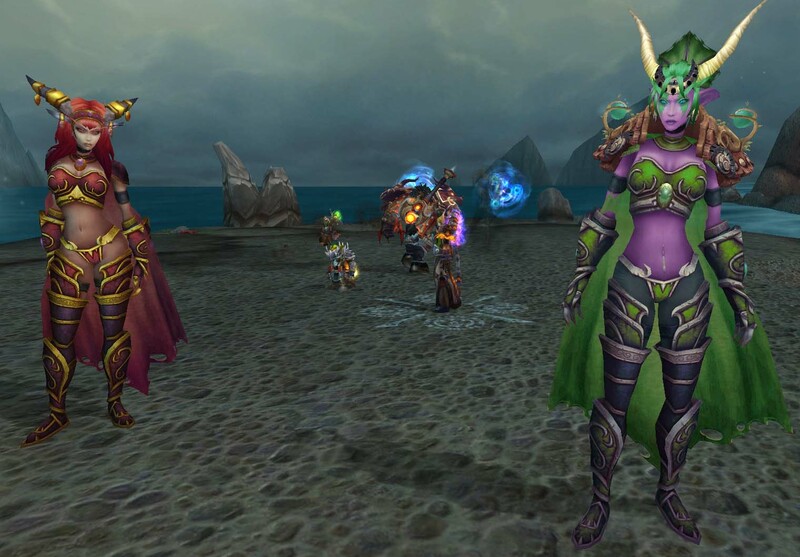 While Earthlings are honoring their familial ancestors, Azerothians are paying their respects to the night elf, tauren, taunka, and earthen warriors who fought against the Burning Legion. 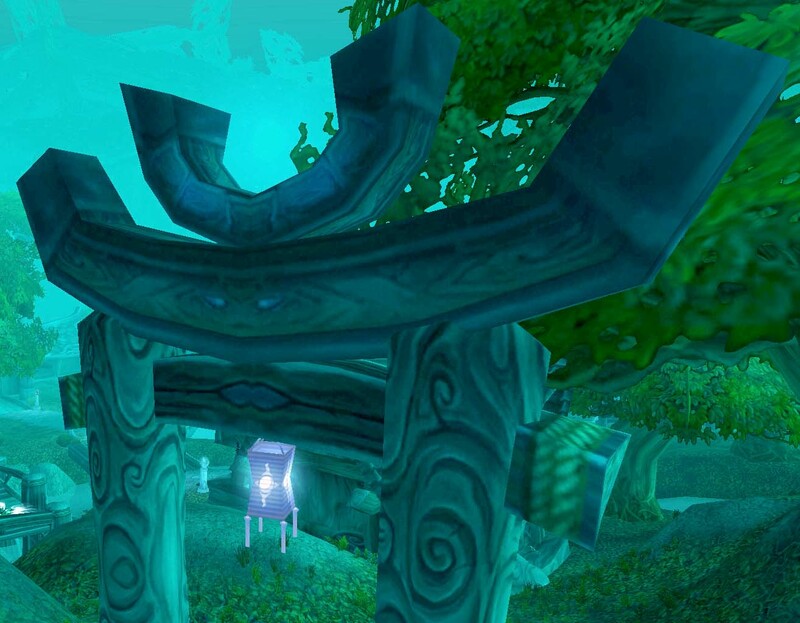 The main celebration takes place in Moonglade, and players can get a free teleport there from the introductory quest. Although this holiday is time-consuming in-game, it's extremely straight-forward. 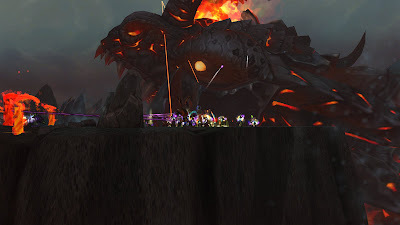 Players can shoot off fireworks, buy a plethora of firework and tailoring patterns, defeat a seasonal world boss, and visit every last Elder on the planet. 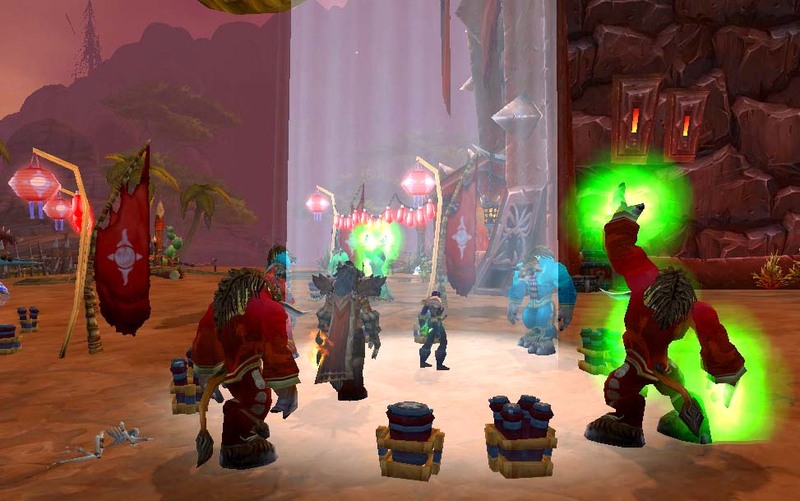 The initial quests reward Cenarion Circle reputation, but visiting the Elders will give you faction reputation and the holiday currency Coin of Ancestry. Eight hours after visiting an Elder, they will mail you a Lucky Red Envelope. In addition to clogging your mailbox, these may contain either an Elder's Moonstone or a Lucky Rocket Cluster. Since the dearly departed don't typically send letters on Earth, married couples and older relatives give red packets containing even amounts of coins or bills to children and unmarried adults on New Year's Day. 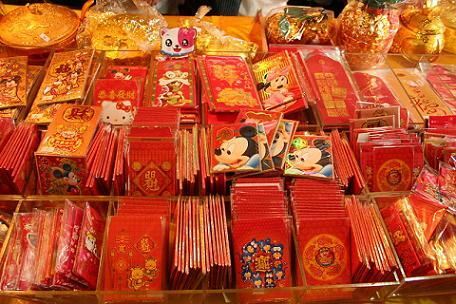 If someone requests a red packet, it's bad luck not to give one. There are even some kids and teens who use the joke greeting "Congratulations and be prosperous, now give me a red envelope!" The New Year lasts for 15 days, finally culminating in the Lantern Festival which is sometimes called the "second new year." The first day of the new moon is for being together with family, honoring one's ancestors, and welcoming the gods back to Earth. The second day is for prayer, to ancestors and gods alike. On the third and fourth days, families visit the wife's home. The fifth day is for staying inside, as it's bad luck to venture out. It's also the day to welcome the God of Wealth. During the sixth through twelfth days, people visit friends, families, and temples. When visiting, it's important to bring a small gift for the host, and the host should reciprocate with sweets for their guest. Businesses should be open by this time. The thirteenth day is for a simple meal of congee and mustard greens, and the fourteenth is for preparing for the upcoming Lantern Festival. 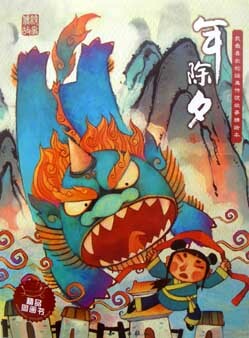 Finally, the fifteenth day is for parades and dragon dances, in addition to spectacular fireworks and lantern festivals. 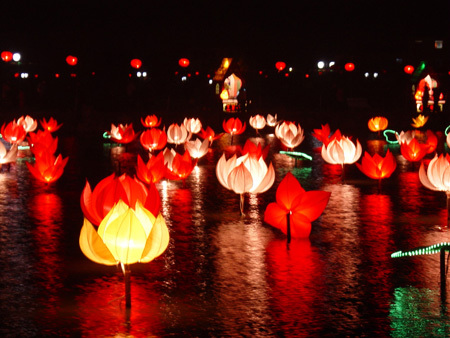 Annual events include the Taipei Lantern Festival, the Tainan Yanshui Fireworks Display, and the Taipei Pinghsi Sky Lanterns. Temples display lanterns with paintings of birds, famous historical figures, and legends. 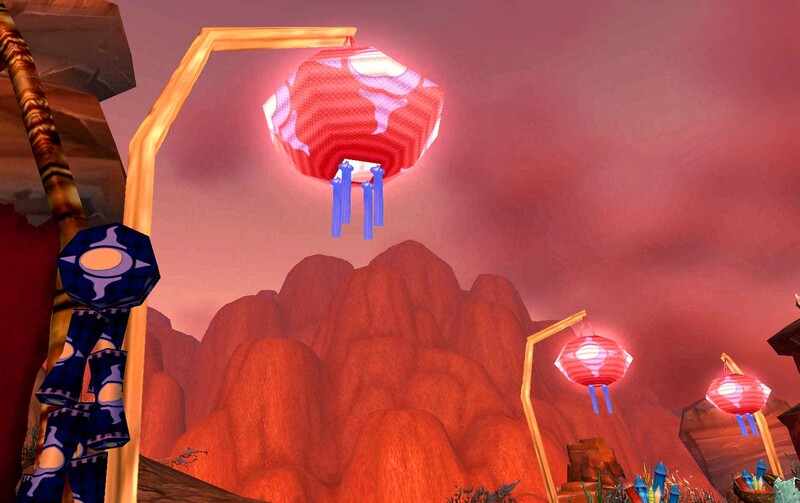 Some lanterns feature riddles for observers to puzzle out. 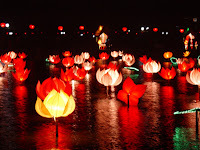 Lanterns are carried, floated on water, and released into the sky. Noisy fireworks are released late into the night, although the explosives have caused enough physical and property damage to warrant firecracker bans. Players can drop 70 Coins of Ancestry on a faction-specific Festival or Lunar Lantern of their very own, but be prepared to spend some serious gold to get the other faction's off of the auction house! 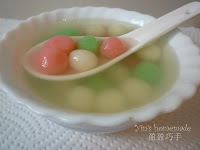 Players can purchase Festival Dumplings, the in-game equivalent of the special tang yuan dumplings eaten during the Lantern Festival, for 1 Coin of Ancestry. 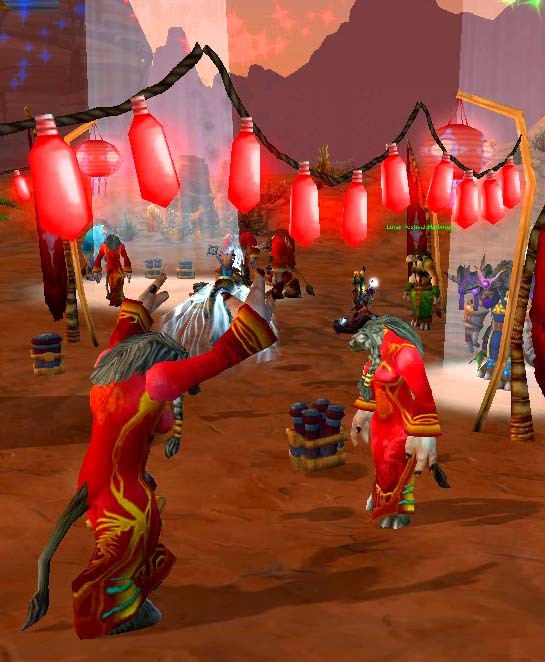 The vendor also sells festive clothing, a fireworks pack, and Elune's Candle. It's common for people to buy new clothes and shoes, or get a haircut in order to ring in the new year right, so be sure to pick up a Festival Dress or Suit! These are based on the cheongsam and what appears to be a tang jacket and pants. 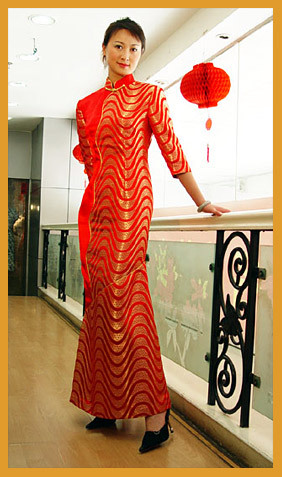 If you really want to dress the part, be sure to have a tailor make you the lucky red version. Elune's Candle has 88 charges, as the number 8 is lucky, due to being a homonym of "prosperity." You can bring your bedecked self to Stormwind, Thunderbluff, Booty Bay, or Moonglade on New Year's Day to enjoy holiday celebrations, or wait for the big event at Lake Elune'ara on the last day. 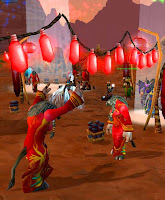 In addition to fireworks, players should notice even more lanterns on display for this event. Before then, high level players should do their part to put Omen back to rest. Once a demi-god blessed by Elune, Omen was injured in the fight against the Burning Legion. 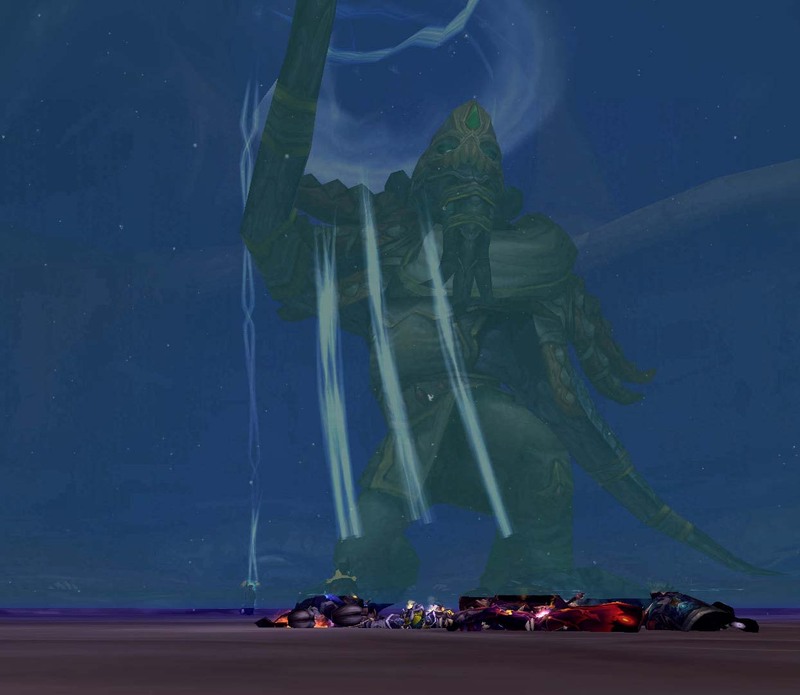 Although he once wandered Azeroth, offering help, luck, and advice to those he encountered, he was driven mad by fel nightmares and went on a murderous rampage. 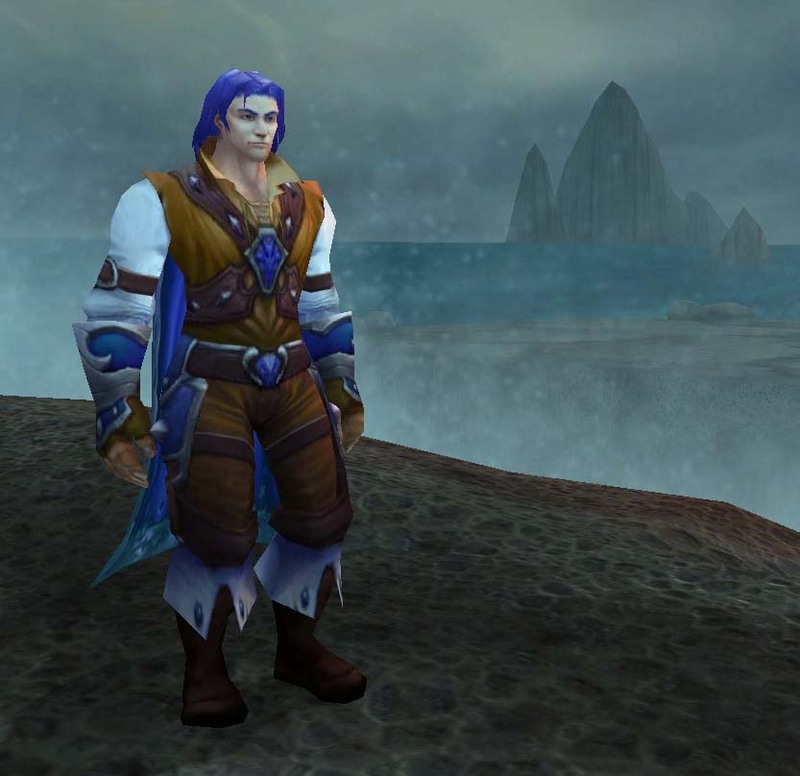 He was blinded and bound by moonlight in the town of Nighthaven, and each year wakes again to terrorize Moonglade. 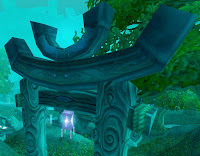 Defeating him will reward the player with Elune's Lantern, which can be used to make Elune Stones all year round. There are 17 current achievements for a total of 190 achievement points in this holiday. The meta achievement rewards the title "Elder" and counts towards What a Long, Strange Trip It's Been. 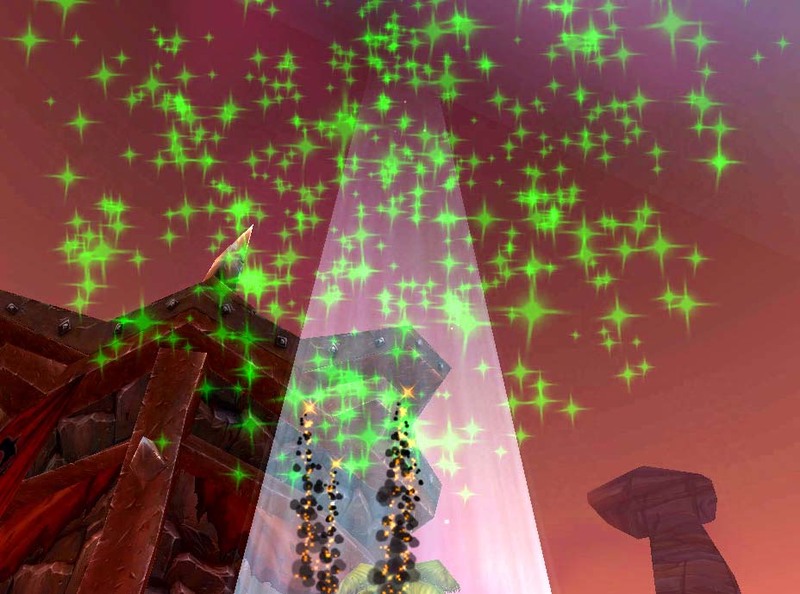 You can find a guide to completing all of the elders quests here at WoW Insider, and Wowhead's holiday guide here. A collection of detail shots from around Booty Bay. As always, best viewed on the site using the lightbox. I have occasionally been known to raid. As always, best viewed on the blog using the lightbox feature. "First round's on me," the orc said firmly, signaling the bartender. Her wooden stool creaked under the weight of thick muscles as she shifted into a more comfortable sprawl. Having washed the pungent Zangarmarsh mud from herself - and her clothes - the orc now wore a thin linen shirt, soft leather breeches, and simple boots. A thick silver chain disappeared down the front of her shirt. At her belt was a coin purse and an unassuming dagger, but anyone interested in the first would notice the second. In conjunction with the corded muscles visible at her neck and forearms, a prospective thief would think twice. Her companion was similarly attired. 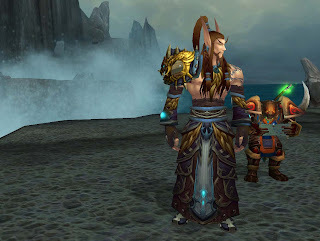 The tauren had rebraided his mane into two plaits clinking with silver and clay beads, and now wore a coarse shirt, mostly unlaced to accommodate his barrel chest, and loose breeches that ended below his knees. In addition to a coin purse and plain dagger, he carried a wooden mace with his clan's sigil carved along the handle. He didn't take that mace to work, but he liked to carry it when they were off duty. Their drinks arrived. The orc raised hers to her partner before taking a satisfying swallow of the lager. They both sighed with pleasure. For a moment, they listened in silence to the sounds of the fire in the tavern hearth, the soft clink of tankards, and the murmur of many conversations. A troll woman's throaty laugh suddenly rang out. "So how did you become a leatherworker, anyway?" the tauren asked, drumming on his glass. "I know you were a warrior at some point before that." The orc rubbed a calloused hand across her smooth scalp. Tiny scars stood out white across her green knuckles. "I was injured. I broke both my legs in a skirmish and had to be evacuated to Orgrimmar for healing." She stuck out a leg, turning it left and right as if admiring it. The leather of her breeches stretched and strained. "The healing worked, but I couldn't walk for some time," she continued. "While I was recovering, I got roped into helping my neighbor with his work." The tauren raised an eyebrow. "You? Get talked into something you didn't want to do?" "Keep in mind that they had me dosed on all kinds of herbal wines. A shaman even came by once a week to do voodoo on the pain." The tauren snorted appreciatively. "Besides, I was going stircrazy missing the battlefield. I needed the distraction." "All right," the tauren allowed. "I take it your neighbor was a leatherworker." He watched the orc drain her glass and signaled for another round, adding, "My turn." She inclined her head in thanks. "He was, in fact, a leatherworker, a big bull specializing in druid leathers. His daughter was a druid. Probably still is, but I only met her once before her dad died. Anyway, he started me on simple tasks: stitching, branding, pattern-making. Things I could do sitting down. Every morning I would wheel myself to his workshop and spend the daylight cutting out pieces for pauldrons or strips of belt, stitching leggings, or affixing hides to bucklers." 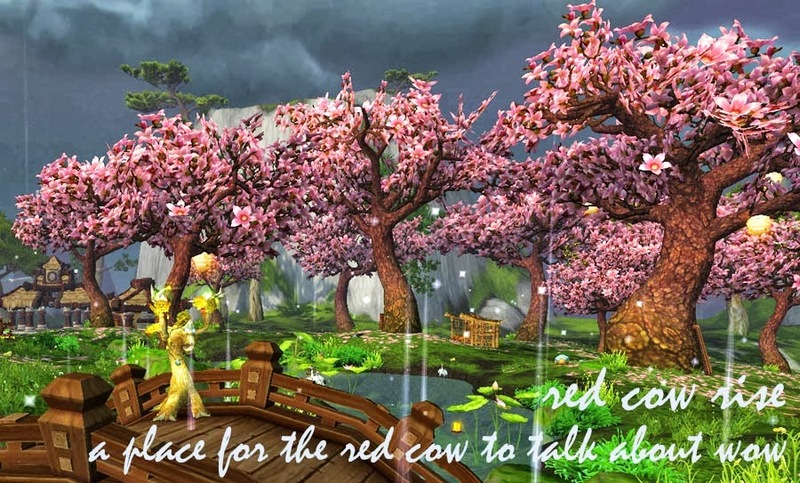 The tauren nodded. He had done similar tasks in his apprenticeship, although he had also been set to more physically demanding work. Of course, he could also stand without difficulty. "Eventually, he trusted me enough to do more serious pieces of armor. I don't know if you remember the style at the time-" he shook his head "-but druids wore a quilted, fire resistant robe. He would set me up with the specially tanned and cured hide and a bag of stuffing - enchanted, of course - and I would quilt." A quiet huff pulled the orc's attention to her partner. The tauren was hunched over the bar, holding back what sounded suspiciously like giggles. She tried to glare, but eventually gave in and began to chuckle. 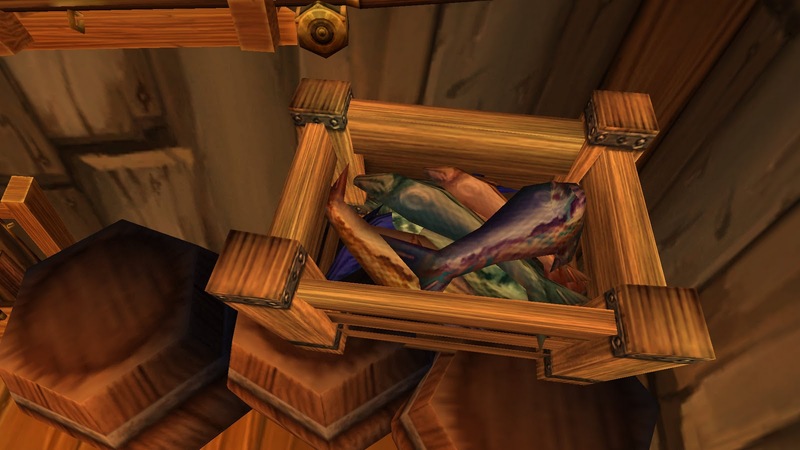 This only encouraged the tauren, who threw his head back and began to laugh in earnest. Soon, they were leaning against each other helplessly, shaking with mirth. "Qu-quilting!" 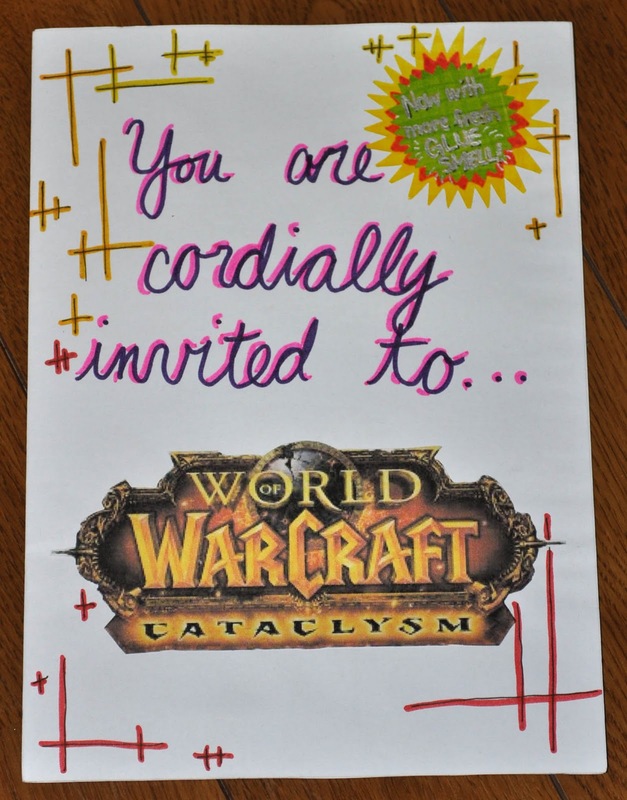 the tauren gasped. "A war hero - quilting!" The orc responded with a guffaw and tried to calm herself. "Not really my style, is it?" she choked out between giggles. "Not even close!" He wiped tears from his eyes. "I mean, my grandfather was a tailor, and I watched him quilt and loom, and I can't see you doing that without tearing the cloth or snapping the needle!" "Remember, I was medicated!" She regained her composure with effort. "And when I could do that well enough, he started letting me affix the rest of the armor, which at the time was mostly a handful of foliage. Somehow, the druids enchanted the leaves and twigs to stay green, and even with my clumsy handiwork they looked like they were growing naturally out of the leather." The tauren swirled his ale thoughtfully. "That sounds familiar, at least. 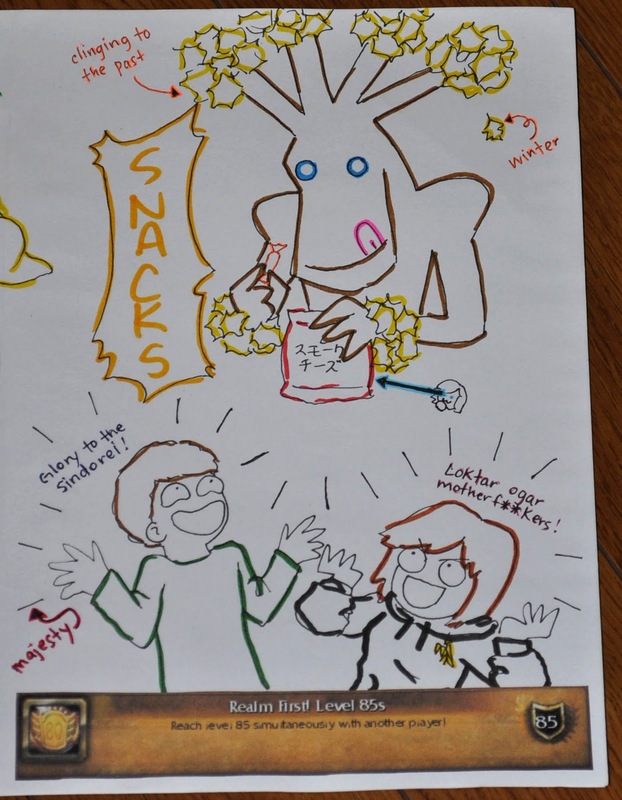 So, how did you move from assembling to gathering?" The orc stood and clapped her companion on one broad shoulder. "Patience! I'm going to the little orc's room. Order me another pint, and I'll tell you." She left with a smirk, and the tauren turned to the barkeep. Fantastic! Meretricious. And a happy new year! I thought about doing a "year in review" post, but as typically happens after a long vacation, I'm too out of sorts to manage it. Instead, you get a rare roundup of what's been going on in Aka-land. Lucky you. For the first time in two years, I returned to the US for the last two weeks of the year. The guy at customs asked me how long it had been and I honestly couldn't remember (it came to me several minutes later - December 2009!). I'm a citizen okay, just let me in the freaking country DX The flight from Kansai to San Francisco was so empty that I had an entire row of 3 seats to myself, including all the pillows and blankets they had prepared! I made myself a little nest an even managed to sleep a bit on the flight. Then it was a 5 hour layover in California, followed by a long flight to Orlando and they didn't even feed us dinner. US Airways, you are on notice. No gaudy Winter Veil sweater this year! I had brought my laptop with the hopes of doing my Greench daily at least, especially after I was reminded of the Lump of Coal pet, but in the end I only did it about 4 times over two weeks and mostly used it to check email and manage the Furtive Father Winter business. And I did get my gifts on Aka on Xmas day, but my other alts will just have to wait till next year! It's been a long time since I played WoW on Lappy, and I must say that my Desky has really spoiled me. I can't believe that I used to raid on a macbook that barely manages more than 5fps in Org! My dad likes to catch lizards. It was great to see my parents and brother again; the last time was August 2010 when they toured Tokyo and Kyoto. One of my mom's brothers and his family dropped in from NY and I got to chat with my extremely cool aunt. It was ridiculously, blessedly warm. I forgot how totally oblivious Florida can be when it comes to "winter". I took my brother and little cousin to Universal Studios and IOA on Xmas Eve, and not only was it totally empty, it was hot! They even went swimming! The biggest highlights were hanging with my mom, getting a Kindle (books beware! ), and playing my piano for hours every day. The view from my bff's parents' backyard. Then it was off to Huntsville, to visit my BFF, her GF, and my future home! Since they also had the week off, we did a ton of cooking, drinking, and gaming. I made them watch the BBC Sherlock season 1 (if you follow me on twitter you probably already know that I'm a big fat fangirl, so uh, sorry. But seriously, watch it!) and we devoured season 1 of The Big Bang Theory. Why did I wait so long to start on that? Bad nerd, bad! Just like old times, we gorged on Vanilla Coke and "break and bake" chocolate chip cookies and played Pokemon. I restarted my Japanese copy of Black, and she gave me a walkthrough so I can have maps. Mapses, my precioussss. We rang in the new year bullshitting a poker game (her GF is actually an incredible player and has won a few tournaments; we on the other hand were far too tipsy and incompetent to play seriously) and enjoying a 7-layer dip. I flew back to Orlando, met my family for lunch during my layover, then went to LA, on to Haneda, and finally back to Kansai. The good news is that I managed to avoid those creepy new scanner machines at all the security points! And, because I requested an aisle seat on the long flight, not expecting anything since the flight was so full, they generously stuck me in the "premium economy" section to remedy overbooking the economy section! You guys, they get real silverware, cloth hand towels, and the toilet sink is motion activated! HOW DID WE EVER LIVE BEFORE LUXURY?! Now I'm back at home and trying to settle into the new year. My WoW resolutions are still undecided - I'd like to work on the Darkmoon Faire dailies so I can get all the cute new pets and mounts, and maybe fill out my tier 0.5 set, which was never finished and has mismatched colors! Other than that, I have a few achievements I'm still chasing on Aka, and I want to continue my questing and storytelling on my mage. There are other alts I'd like to keep working on, namely my Ally priest and goblin hunter, but since my meatspace resolutions consist of: eat, sleep, exercise well, I may have to leave them for extreme downtime. 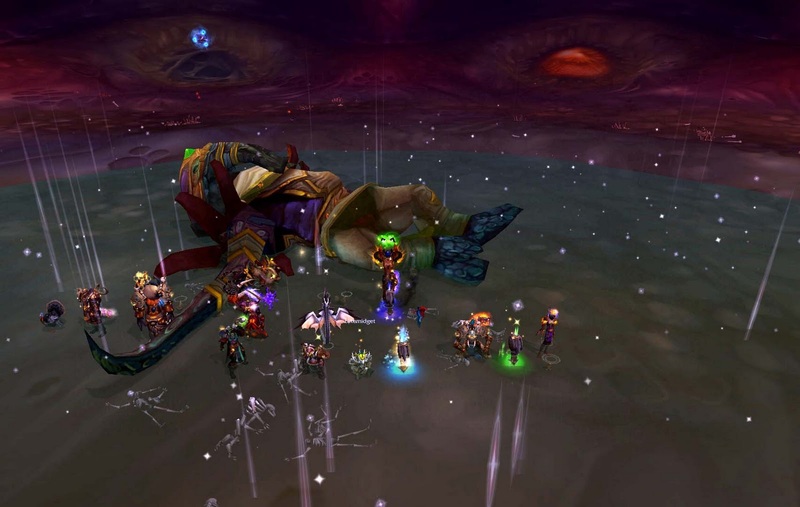 I'd also like to get back into raiding, which means actually showing up on Thursdays and Sundays. Balance is hard work! 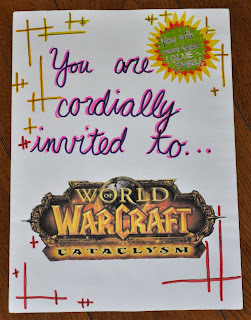 Chances are that I'm jetlagged out of my mind and staring blankly at the wall somewhere, so here are pictures of an invitation I made for my manfriend at the time Cataclysm came out. It was awkward printing the logo out at work. I get to sit at the kotatsu because I'm short and don't mind sitting on the floor. A closeup of the tree, my favorite part. 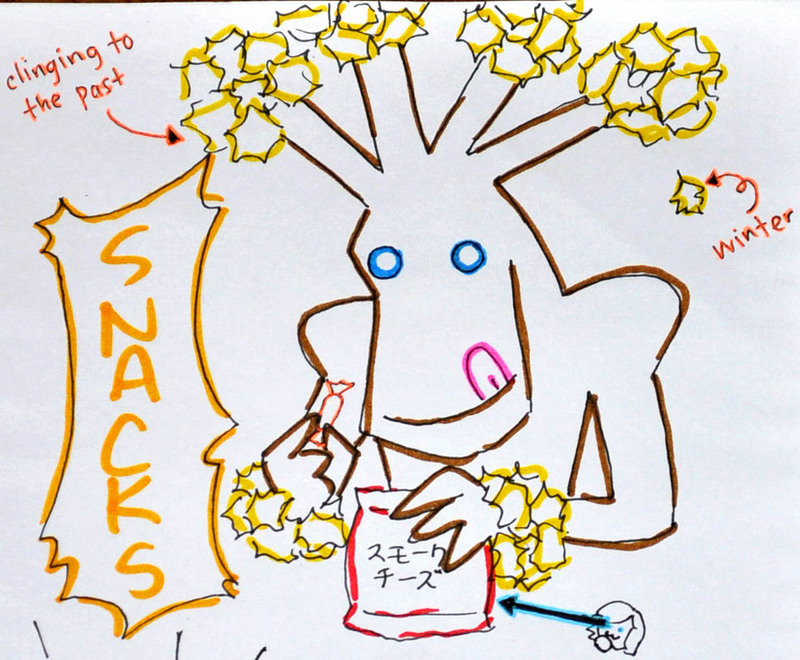 The little nyoron face down there is me eyeing those delicious smoked cheese snacks the tree is holding. 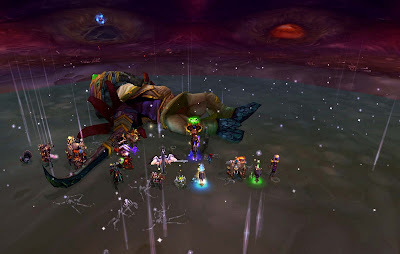 Furtive Father Winter 2011: Huge success! Thank you to everyone who participated in the 2011 winter gift exchange! I'm extremely pleased to report that everyone who signed up both sent and received a post. 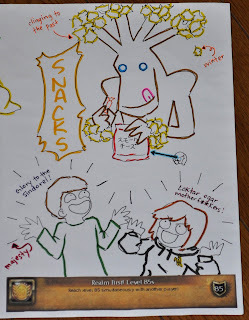 There was a wide range of topics and ideas covered, from fiction to art to poetry to boss strategy to AH tactics to addons! I sincerely hope that everyone had fun and enjoyed their gifts. Thank you all for being so creative and generous and helping to start the new year off right. If you haven't already, please take a moment to read (and comment! We love comments!) this year's gift posts!